Join us in St Louis for SDA’s 2019 biennial conference, Beyond the Surface, for a long weekend of fiber October 3-6, 2019. We are partnering with St Louis-based Innovations in Textiles 2019, a regional event showcasing more than 30 textile exhibitions in the St Louis metro area. Open to members and non-members. Registration opens February 28, 2019. Innovations in Textiles 2019 is a collaborative event throughout the St. Louis, Missouri region. 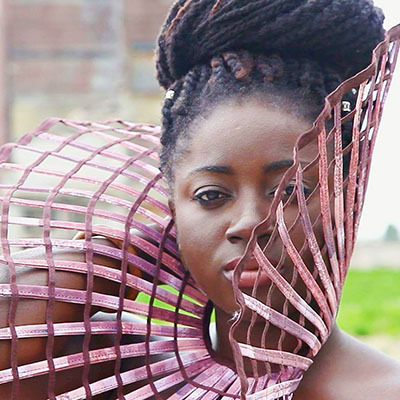 Created to investigate the state of contemporary textile arts, Innovations in Textiles 2019 is comprised of over 30 regional nonprofit & commercial art galleries, organizations and museums that have joined forces to present innovative exhibitions that explore fiber art, textiles and fashion created by local, regional, national, and international artists. Check this page frequently for program updates, registration deadlines, hotel, other activities, and more. Events are located near our exhibition venue, St Louis Artists’ Guild, and the Clayton Plaza Hotel where we hold a block of rooms for attendees. If you plan to stay longer, St Louis has good public transportation and is rich with museums, attractions and other art activities. Room fees $139 per night plus applicable tax. To guarantee this rate, you must make your reservation by September 3. Bus tour arranged by Innovations in Textile 2019. Buses will load near the hotel. Choice of bus routes will be available during the registration process. MetroLink is right near our conference location. The Washington University, Missouri History Center is one stop away. Small Works, SDA all member, non-juried exhibition. Webster University’s Arcade Contemporary Art Projects Gallery, October 3 – Dec 15. Call for Entries open now. Two special events have been tailored for student attendees. Student PechaKucha presentations. How are you pushing boundaries and extending your craft? Tell us your story. PechaKucha (“chit chat” in Japanese), a format for concise presentations originating in Tokyo and adopted all over the world. Up to 16 selected SDA student members will present 10 images, 20 seconds each, for SDA’s modified version. Pre-conference workshops will be on October 2 & 3. Taught by well regarded instructors, these classes offer participants a small group, in-person learning experience and reflect an exciting variety of fiber/textile subject areas. Make the most of your time in St. Louis by signing up for more than one! Register early; class sizes are small and may fill quickly. Note: Registration for workshops that have minimum enrollment will continue until filled. You can list alternative choices. If your first choice is cancelled due to low enrollment, you can select an alternative or a refund. To view available workshops, see below. For more details, click on individual workshop titles. For questions about accessibility or to request accommodations please contact Carolyn Hopkins at info@surfacedesign.org or (707) 829-3110. If you must cancel your participation for personal reasons, send an email to info@surfacedesign.org by September 3 to receive a refund. A $50 administrative fee will apply. Summary of workshops is below, or view detailed information here. Carissa Carman’s multidisciplinary artwork includes playful site specific interventions; pseudo–purposeful yet soulful and generous. Her performances, sculptures and printed materials reference already established systems, occupations, and skills while maintaining the aesthetic of the handmade. Her work incorporates social activity, collaboration and public interventions that infuse botany, food, agriculture and communication alongside portable objects and structures. Carman is Lecturer in Fibers at the School of Art Architecture and Design (SOAAD), Indiana University Bloomington. German born Ghanaian artist, Yvonne Osei, describes herself as an outsider artist making insider art. This is in reference to her identity as being black, female, and an Ashanti native operating in the confines of the Western art world. The term “outsider” also brings to light her outdoor creative practice, which is often fueled by travel and discovery in various cultures in Europe, West Africa and North America. Osei’s work examines beauty, colorism, the politics of clothing, complexities associated with global trade, and the residual implications of colonialism in post-colonial West Africa and Western cultures. Through her most recent work “Who Discovers the Discoverer?” and other artworks, she will unpack the importance of relying on public spaces to cultivate content and context for art. Formally trained as a painter, St Louis artist Kate Anderson began knotting in 1996 after a workshop at Craft Alliance. Her knotted teapots reference the work of images from the pop era and-mid century cultural icons. Over the past 36 years, she has had extensive professional experience as a gallery director, curator, juror, panelist and workshop leader. Her work can be found in numerous significant private and public collections including the Philadelphia Art Museum, Museum of Fine Art, Boston, Minnesota Museum of American Art, Racine Art Museum, and Muskegon Art Museum, MI. Kincaid’s family is his driving motivation and primary artistic influence. Quilting as a practice is saturated on both sides of his family dating back over 100 years. 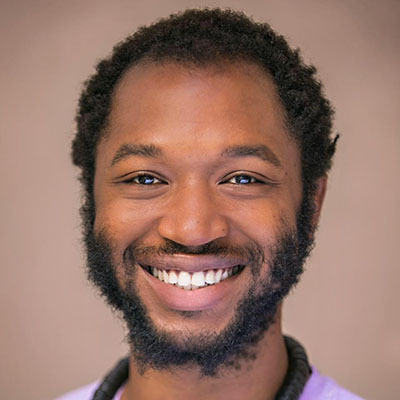 He strongly believes that quilting opens a portal for him to exist with all of his ancestors that maintained the practice and potentially beyond. Quilting within the black cultural tradition has always served as a revolutionary space of joy, courage, and community in direct contrast to social and financial subjugation. Through his quilts, he is interested in addressing his own generational trauma hand in hand with the generational continuation of oral or creative tradition and focuses on introspection and self-healing as a way to impact the whole. A paper and textile artist, Hannah is based in Madison, Wisconsin. Common themes in her work include landscape, earth, deep time, narrative poetry and materiality. 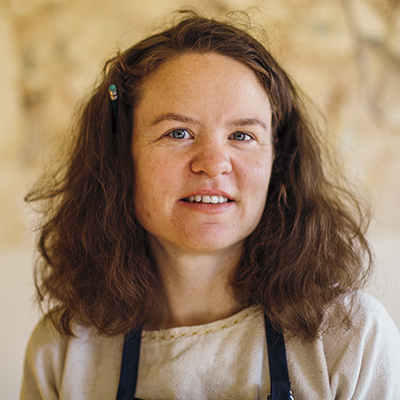 During the time between earning a BFA in printmaking from the University of Kansas, and twenty years later, an MFA in textile design the University of Wisconsin Madison, she worked in food systems and organic agriculture that informs her current work. 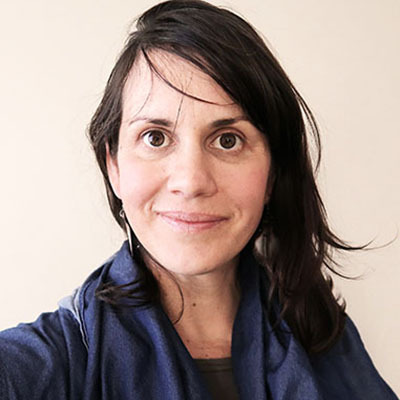 She spent the last year at residencies including: Kimmel Harding Nelson (NE), Madison Bubbler (WI), Tallgrass Prairie Residency (KS), Studioworks (ME), and Women’s Studio Workshop (NY). She shows her work regularly, has taught at the Morgan Conservatory (OH), and serves on the Board of the Friends of Dard Hunter. 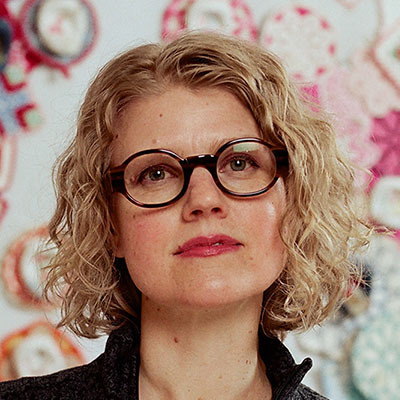 Anchorage artist, Amy Meissner, combines traditional handwork, found objects and abandoned textiles to reference the literal, physical and emotional work of women. 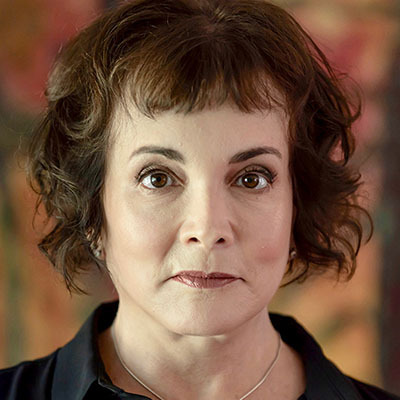 She has shown internationally, with textile work in the permanent collection of the Anchorage Museum, the Contemporary Art Bank of Alaska and the Alaska Humanities Forum. Her background is in clothing design, illustration and creative writing. Portfolio and blog at www.amymeissner.com.